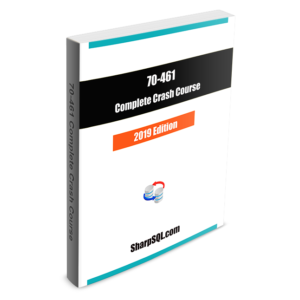 As I wrote before, for preparing the certification exam, extensive fast-track study is better than slow learning. 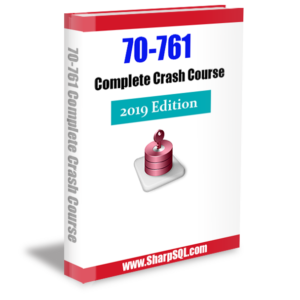 You may spend months or years to lean a new subject to understand every aspect of it, but to ace an exam you’d much better off using extensive and focused training in a short period of time like weeks or days. Also, you don’t need to exhaustively master the nitty-gritty of the technology to pass the exams to be certified. The Measure (find gaps)-Cram (fill gaps)-Test (take exam) three-step system works like a charm. 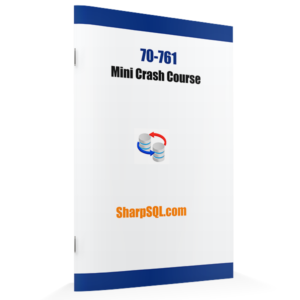 Our 70-761 Pro is renamed as 70-761: The Complete Crash Course, you can click here to get it.